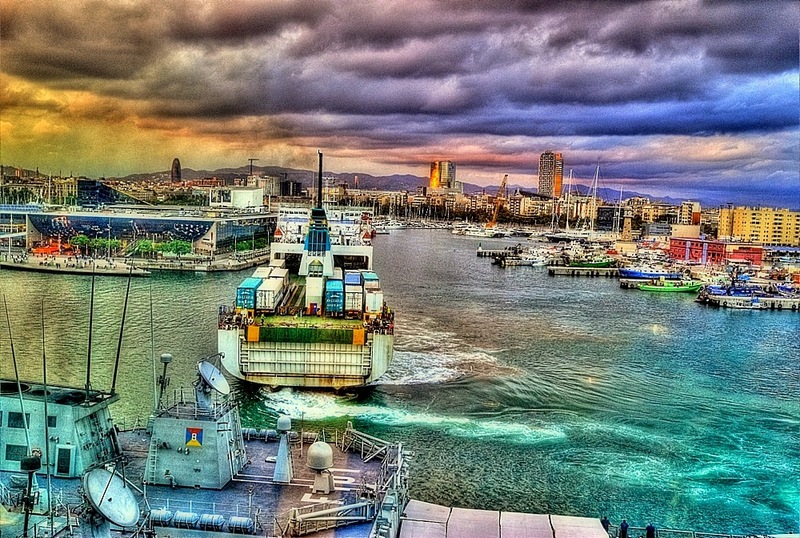 This is the Sorrento, italian registered ferry, entering the Port Vell in BCN. He was doing the route Barcelona-Menorca. I used to see him every day at around 8 PM, from my office at the World Trade Center. 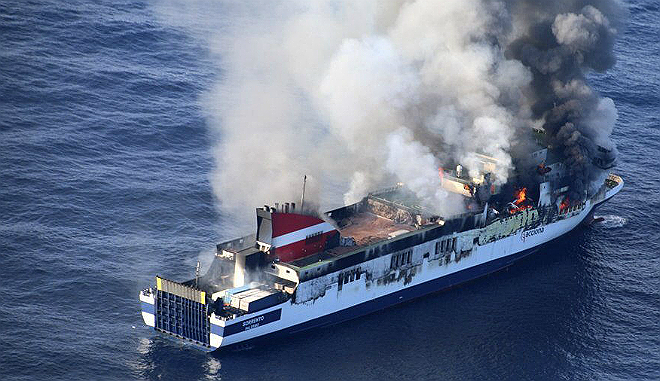 The Sorrento caught fire last night, between Palma de Mallorca and Valencia (other route, other markings), and sank this morning. All 156 passengers and crew were fortunately evacuated on time, nobody was hurt. 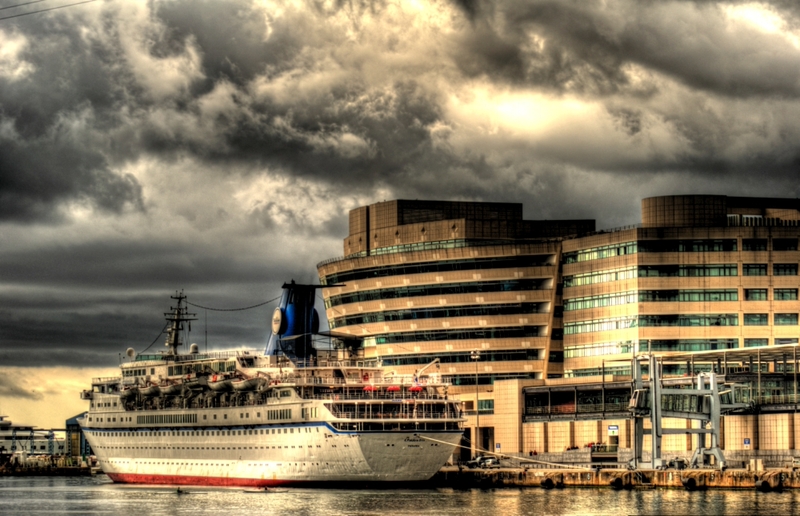 Photo from the El Periodico news website. 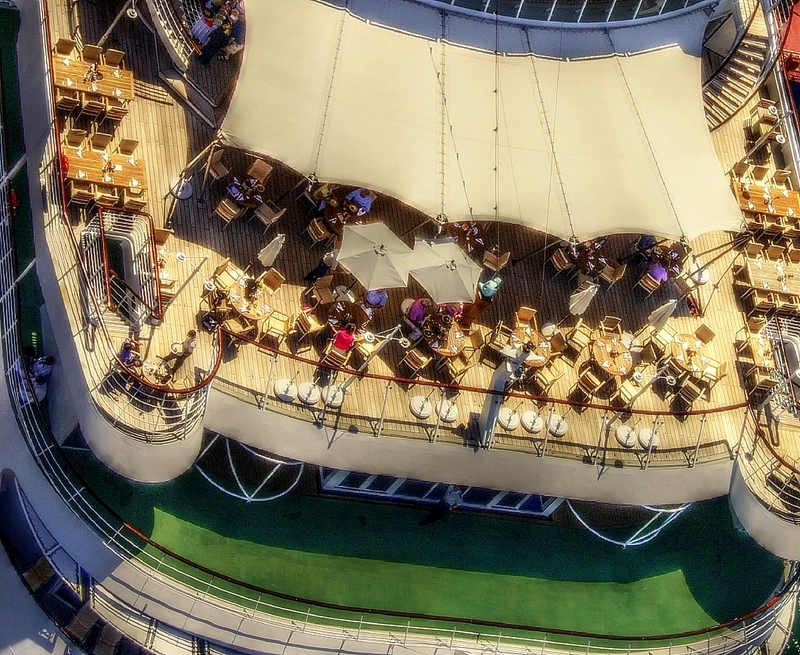 Perfect for circumnavigation… Some kind of revolution: the movement of an object in a circular or elliptical course around another or about an axis or centre, according to the Oxford Advanced Learner’s Dictionary. 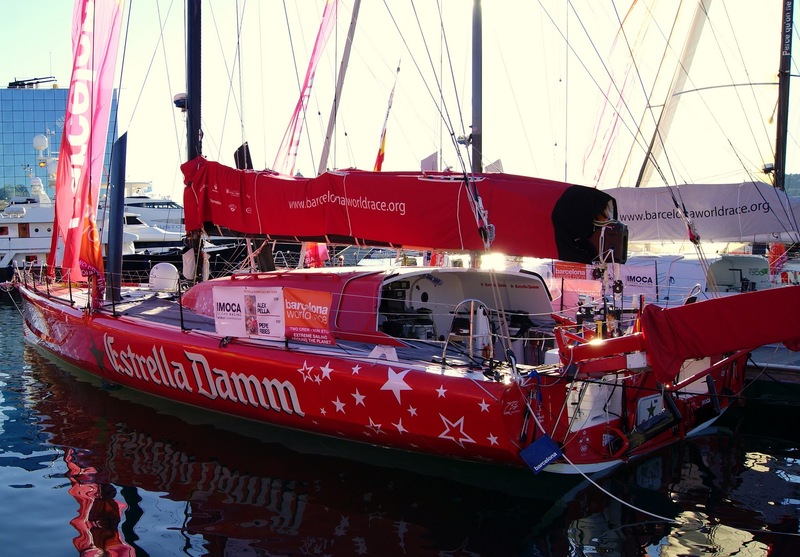 A weekend reflection… Wishing one of those 60-footer IMOCA class monohulls in the Port Vell was mine… Friends and sponsors, start saving: 70 days left until my birthday!!! I need a bit of south Pacific, it’s good for the soul! And no worries, I can handle this! Oh well, it’s easier for 2 people. Care to join me? More Weekend Reflections here. You know what to do. 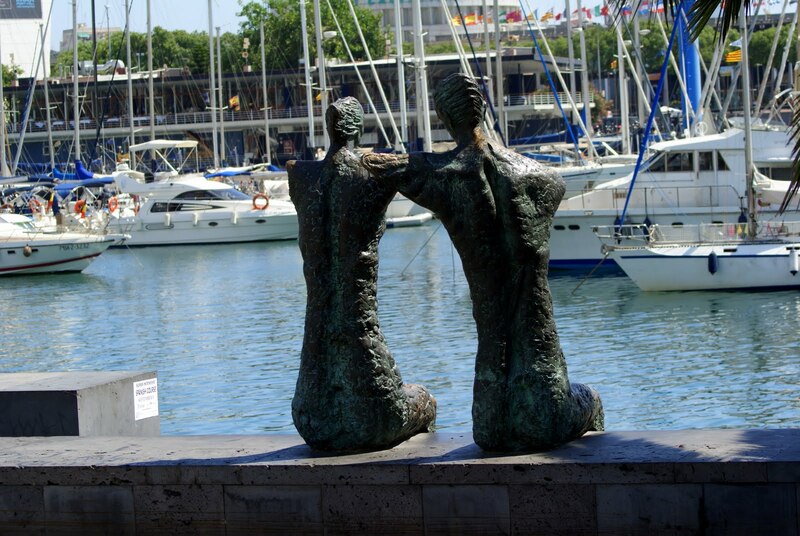 Another view of Port Vell, the old port. 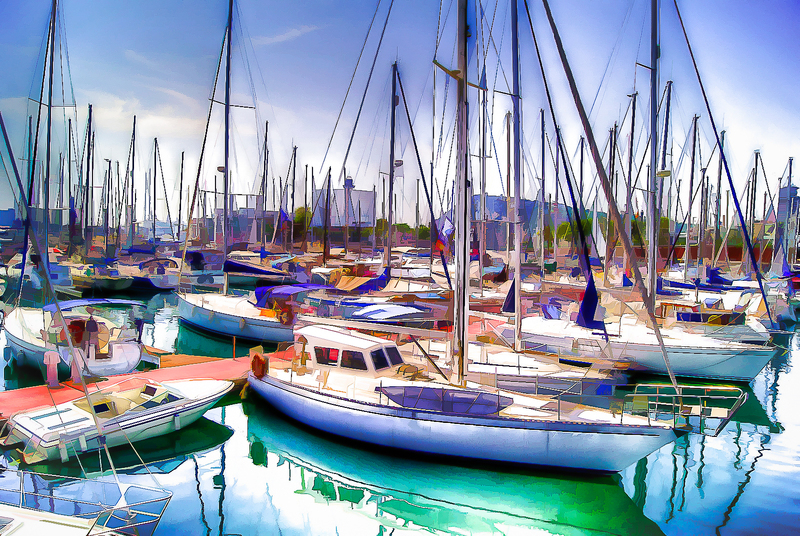 You might have noticed: I LOVE BOATS!!! 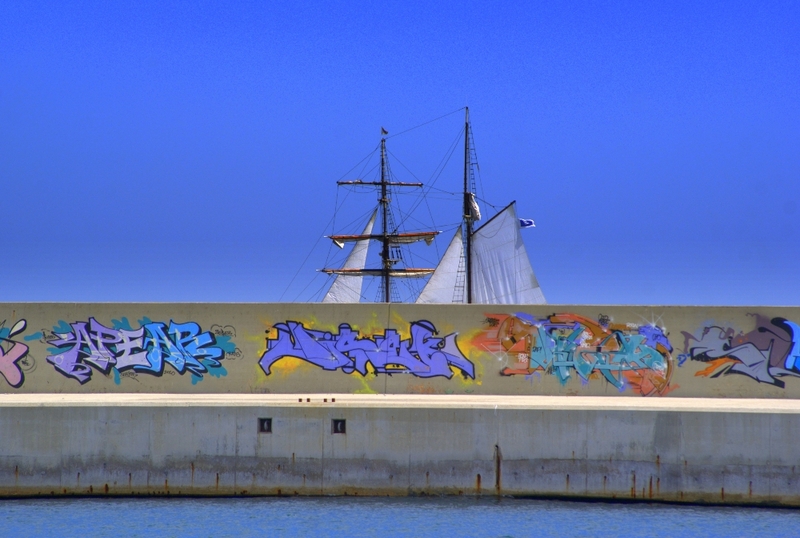 More on my new website, paintings with my camera! 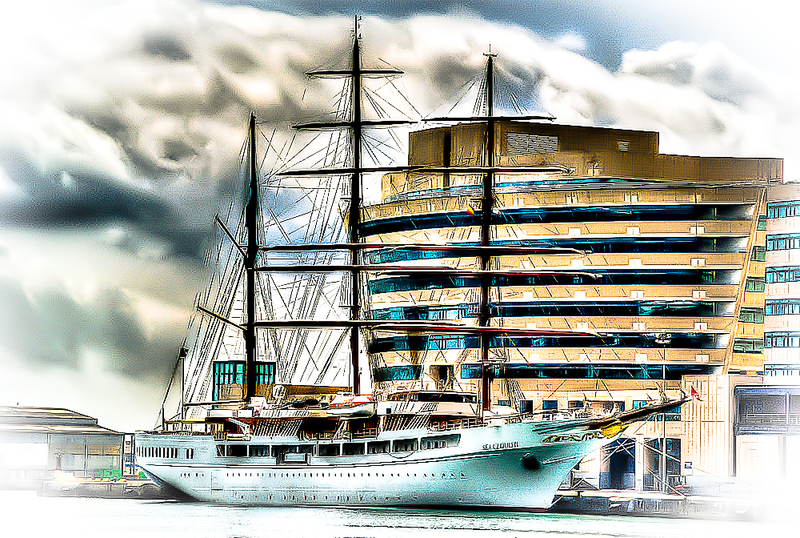 The Seacloud 2 in front of the World Trade Center. 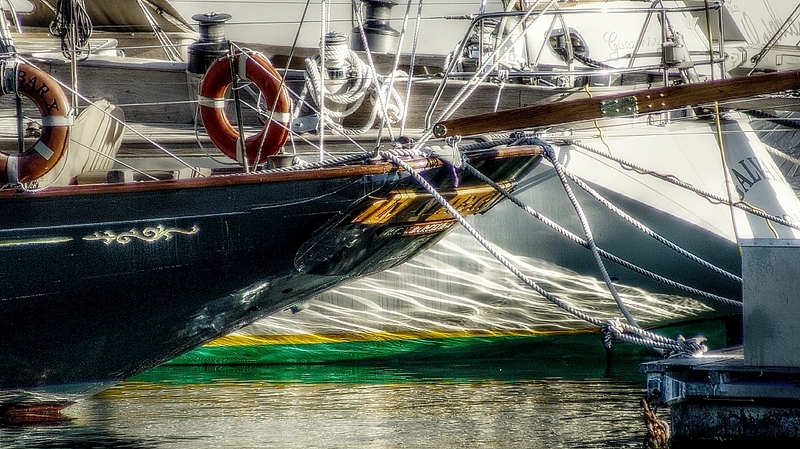 And no: it is not a painting! Fed up with Barcelona? 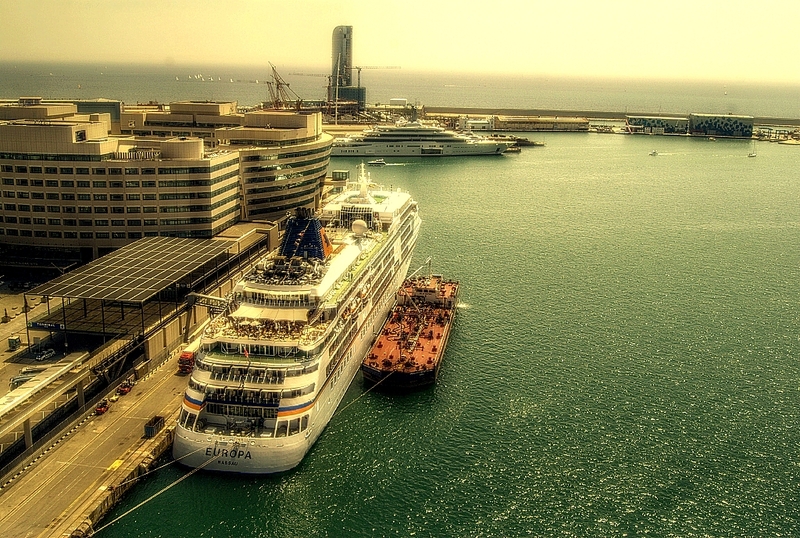 Easy: just take a ferry to Italy, Africa, the balearic islands (Ibiza…)… Many nice places out there! 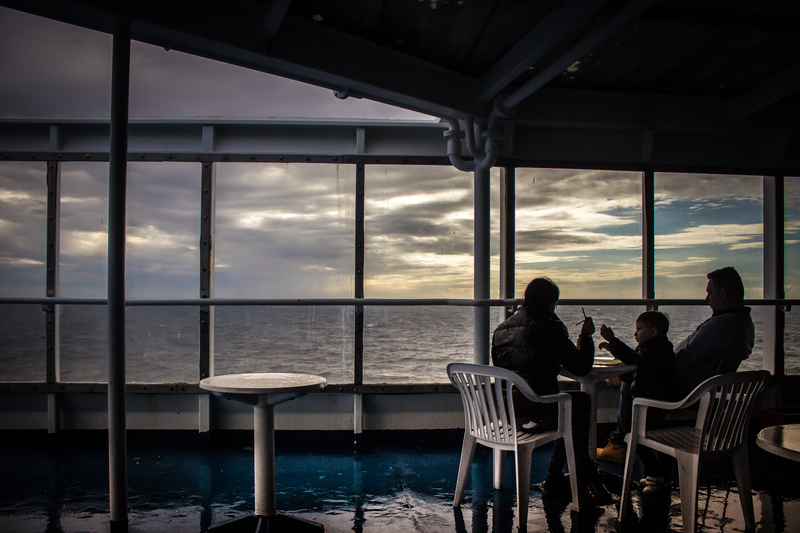 In 24 hours, after cruising the Med, you can be in, for example, Livorno. Nice place. 20 km further (by land), you could have a pizza in Pisa, just next to the leaning tower. And I swear: you cannot beat an italian pizza!!!!! Buonissime pizze italiane!!! Welcome to the World, Mir in russian! Isn’t she gorgeous, the white princess from up north! Another shot of the pint-sized Golden Iris. Even the World Trade Center looks good on this! And a big hello to the friends working in the WTC! The Golden Iris, on a visit from Haifa, Israel. Wonderful light early this morning! Water World Wednesday, right here. 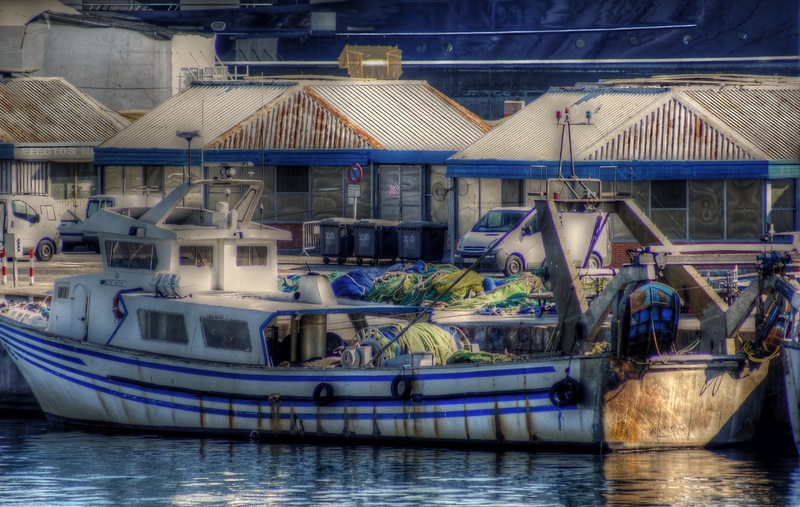 We forget easily that Barcelona is still a working fishing port. 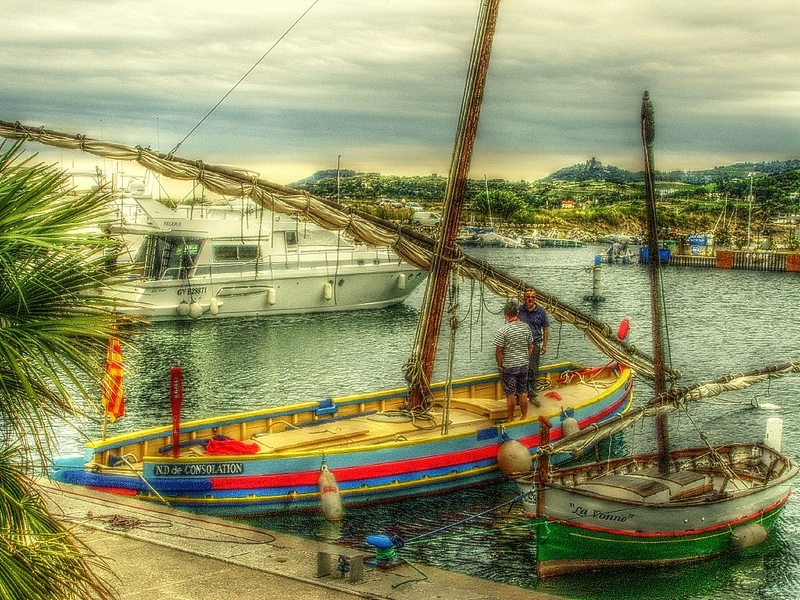 Here is one of the rare remaining working boats. Autumn has finally arrived. 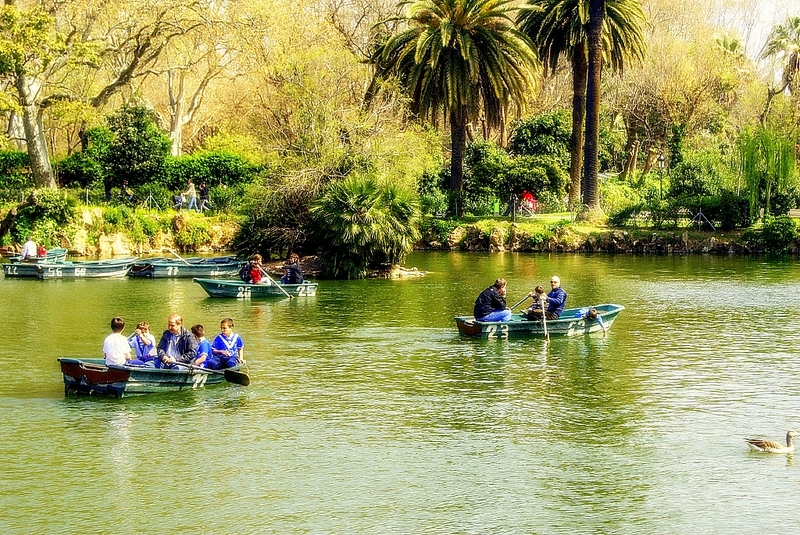 Guess it is the end of the leisurely cruises on the little lake in Ciutadella Park for this year. It is actually raining (Yipeeeee!!!) while I write this. For more photos on the Our World Tuesday weekly meme, click here. Our friend Robert in Athens had a very interesting post yesterday about his evolution as a blogger. I will come back to this soon, but let’s say for today that when I started this adventure 2 1/2 years ago, I remember several (many…) comments about the color riot in this blog. Part of my evolution lately has been a switchover to some more advanced techniques (well, advanced for me anyway), like HDR, 360 degrees photos and panoramas. And I literally fell in love with the challenge of black and white (might actually start a new B and W one of these days, time permitting). So, here is the other version of the photo above. Hope you like it. My World Tuesday, right here! Other news… I (that’s Rob) turned 50 yesterday, Monday. That makes me officially what they call in French a ‘quinquagenaire’. Oh well. 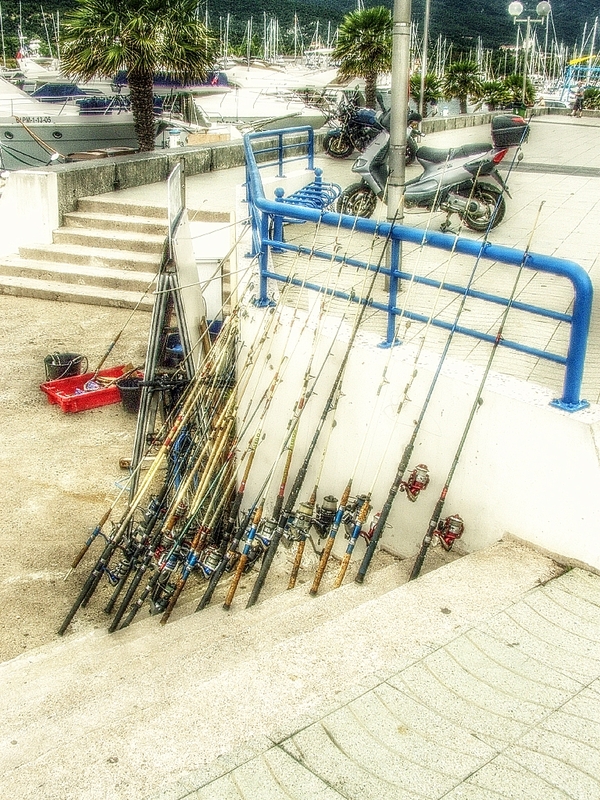 Some people were having breakfast. Bon appetit, bon profit! It is now nice enough here for a bit of boating on the small lake in Ciutadella Park. This is for Scenic Sunday. Click here to see more! 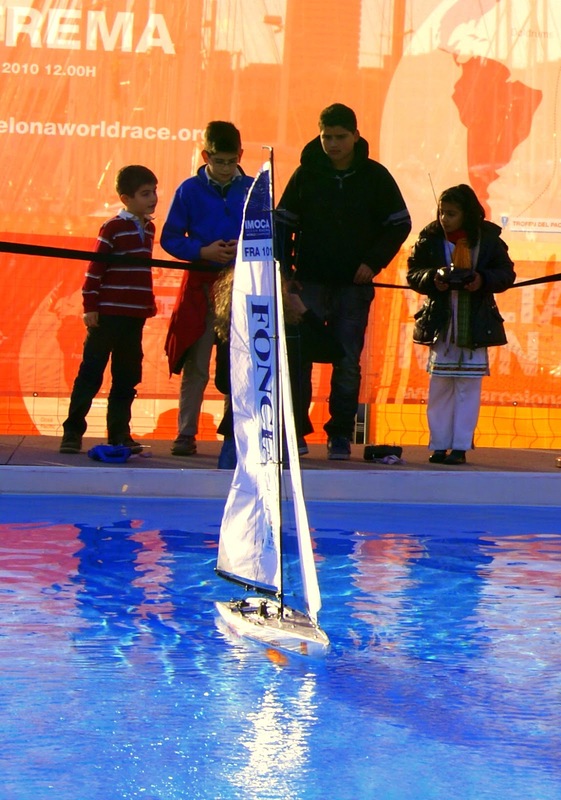 When the Barcelona World Race was here at the end of last year, there was this artificial pool where small and big kids could play with model replicas of the boats. These kids seem to have fun! 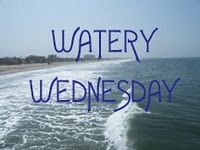 This is for Watery Wednesday in it’s 123rd edition. Please click here as usual to see other blogger’s photos. 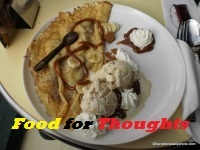 And don’t forget your weekly appointment with Thursday’s Food for Thoughts! 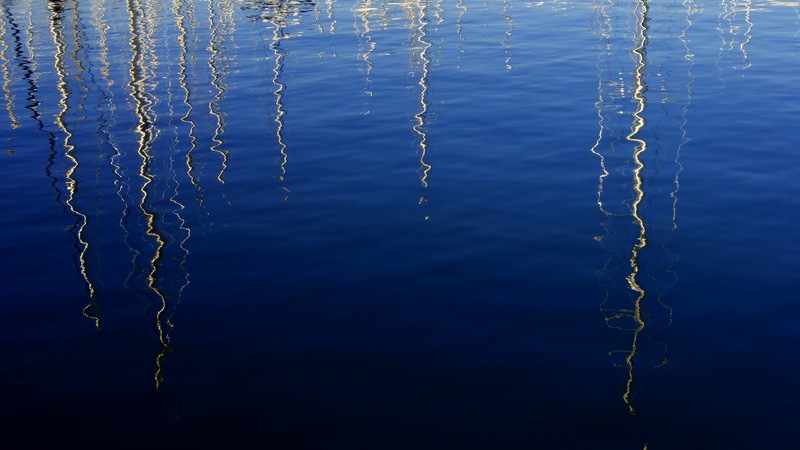 Water and light in the marina. 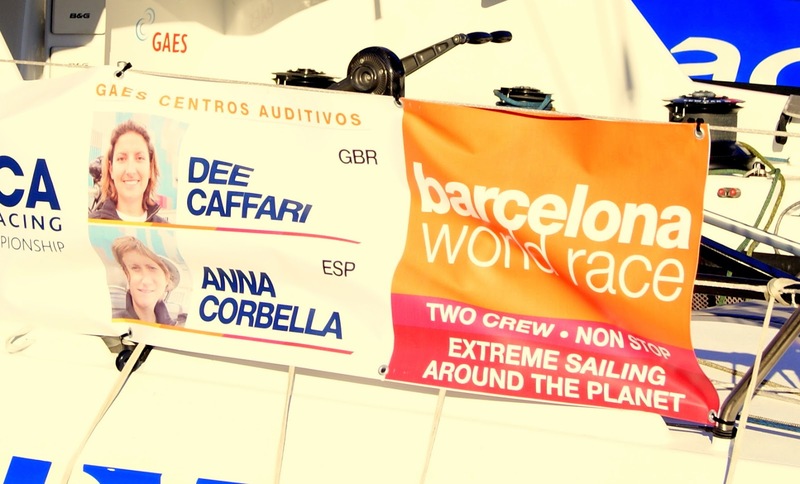 I posted a couple of photos earlier about the Barcelona World Race, around the world non stop. 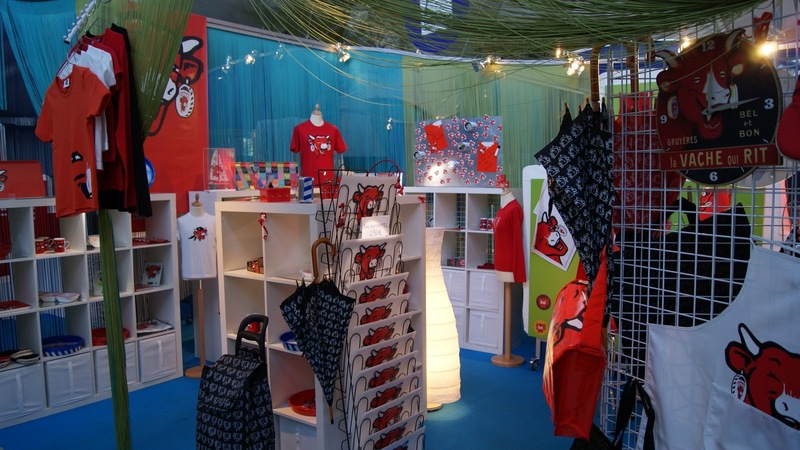 There was a red boat in the lot, and here is it’s sponsor, La Vache qui rit, the Laughing Cow (famous french cheese). This is my contribution to Thursday’s Food for Thoughts. You’re next, please feel free to post any food related photo below, in 3 or 4 clicks. It’s very easy, try it! Few facts about the Laughing Cow: The Laughing Cow is red and jovial, and is almost always depicted wearing earrings that look like the round boxes the cheese comes in. On April 16, 1921, Alexander Baxter trademarked his brand, called “La Vache qui rit,” in France. In the trademark, the cow is said to have a hilarious expression. Bel had made the original drawing himself, after seeing a traveling meat wagon during World War I called “La Wachkyrie,” a play on the word for Valkyrie. In the beginning she wasn’t laughing, she wasn’t red and she didn’t wear earrings. This patent was the very first branded cheese product registered in France. In 1924, Benjamin Rabier, a famous illustrator, edited the drawing into something more like the image that prevails today. The blue and white stripes around the box date from 1955. Since 1976 both earring-boxes have been shown with the top-side visible. Before that year consumers were shown a top and bottom side. And also… Egyptian President Hosni Mubarak is often jokingly referred to as ‘La Vache qui Rit’ because of his supposed resemblance to the cheese’s logo. … and for Outdoor Wednesday as well. And of course… Click here to see the BIGGEST CAGANER IN THE WORLD EVER!!! 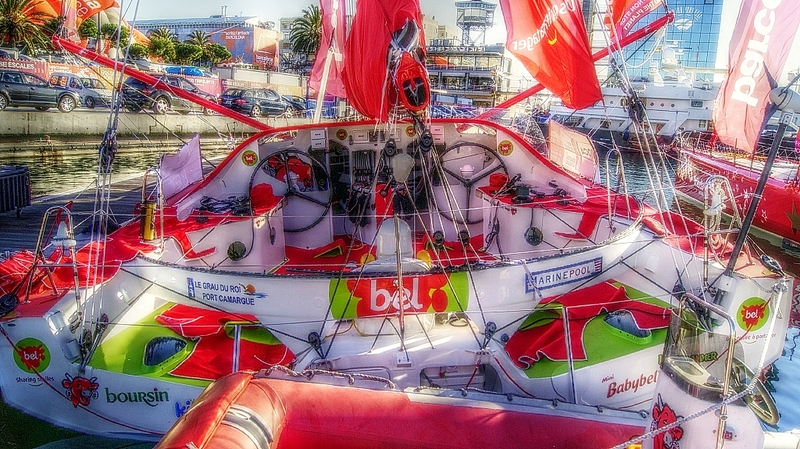 Much more information about the crew, the boats, the race generally, can be found here. 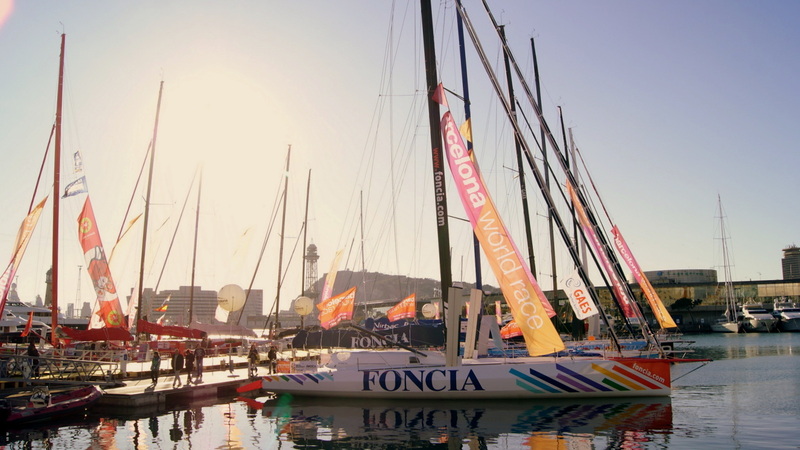 On December 31st, at 13 hours, will start one of the main events of the sailing year, the Barcelona World Race. 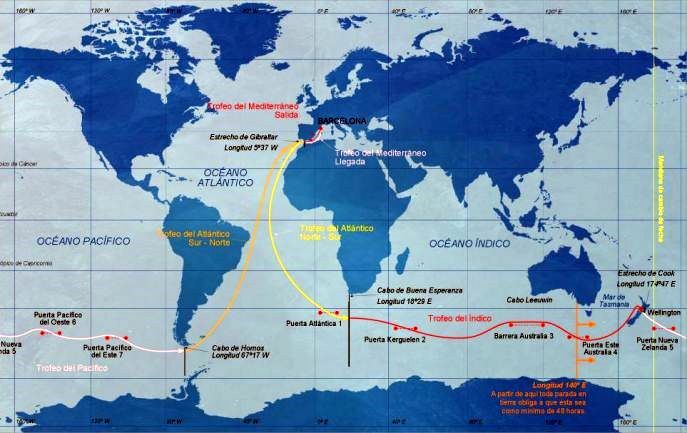 15 boats, 2 crew per boat, going around the world, non stop, from Barcelona to Barcelona, 25000 miles or 46300 km. 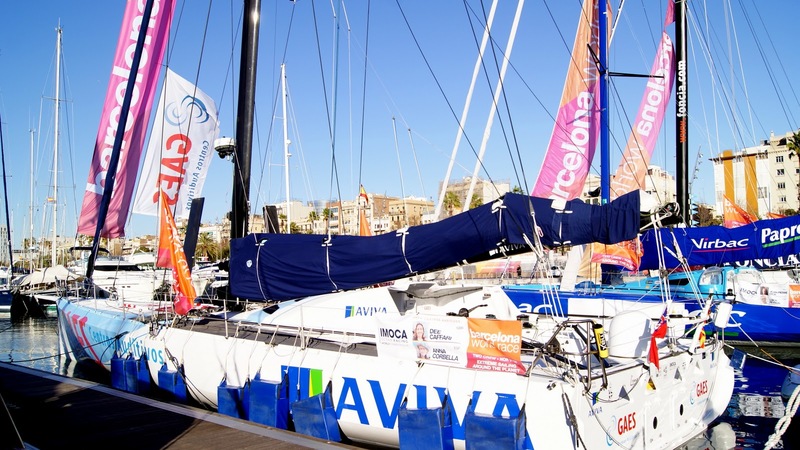 It will take them over 3 months, in those incredible IMOCA Open 60 yachts. Structural design regulations. These include watertight compartments and safety hatches etc. Stability regulations. 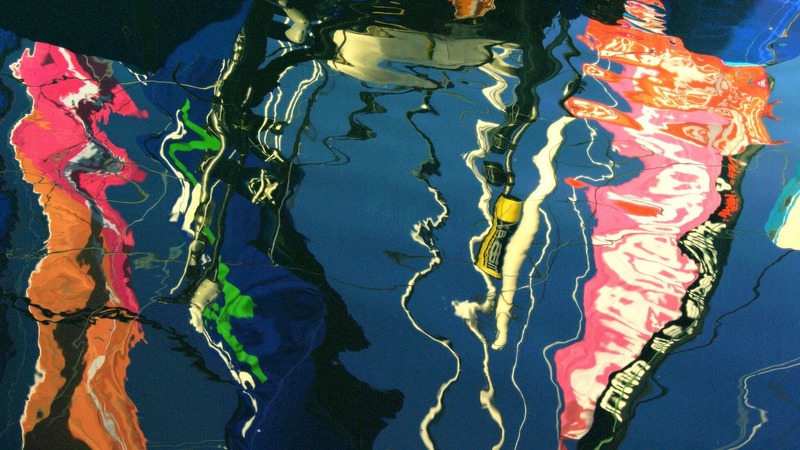 These are a series of requirements and tests performed on each boat to guarantee stability and self-righting action if the boat were to capsize. 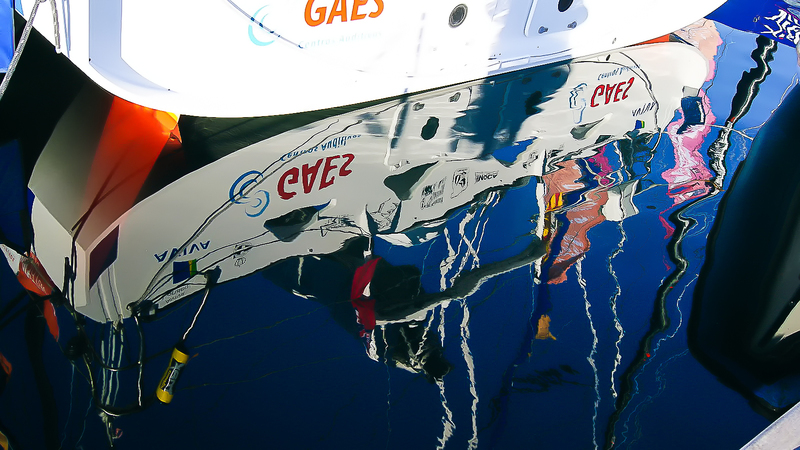 The IMOCA Open 60s are specially designed for solo and double-handed ocean sailing. 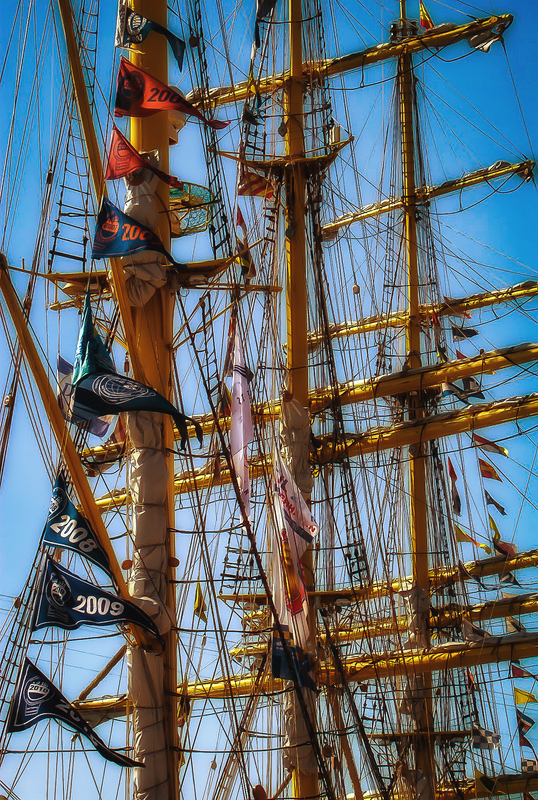 The shape of the hull and the rigging features respond to the average wind direction and swell experienced in a west-east circumnavigation of the globe. Favoring fair winds, the IMOCA Open 60s have smooth, straight hulls to plane across waves, and can reach speeds of up to 25 knots. The best of luck to them! Other day, other boat. 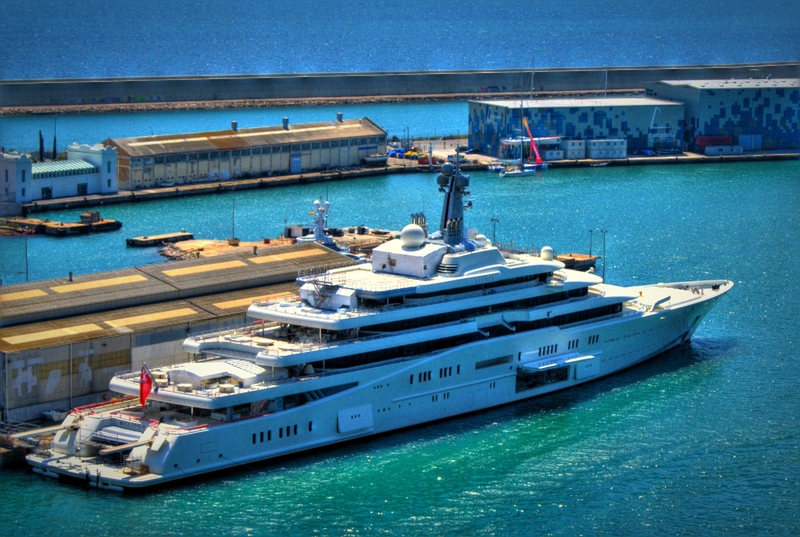 This is the 202 m long GNV Excellent, arriving from Genoa, Italy and en route to Tangiers, Morocco. Photo taken from the top of the Mirador de Colon, the Columbus Column. 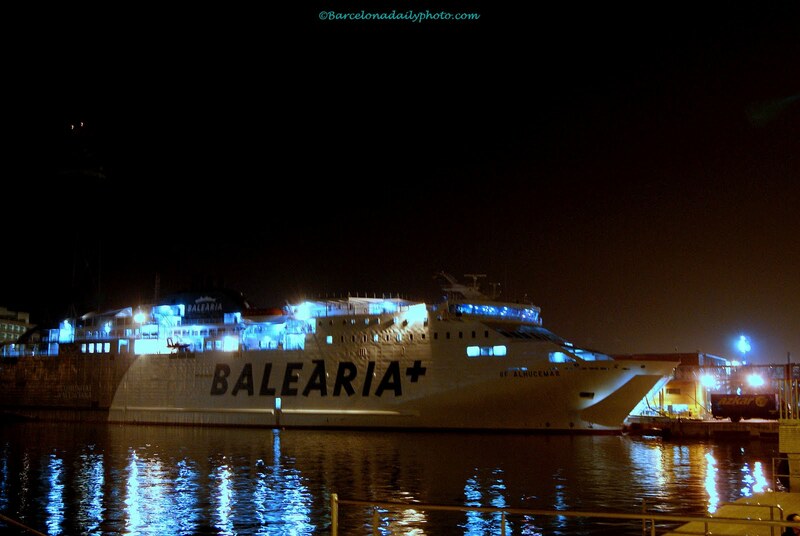 It is a ferry, not a cruise ship, going from places in Italy to Barcelona, Tunisia, Morocco and Malta. 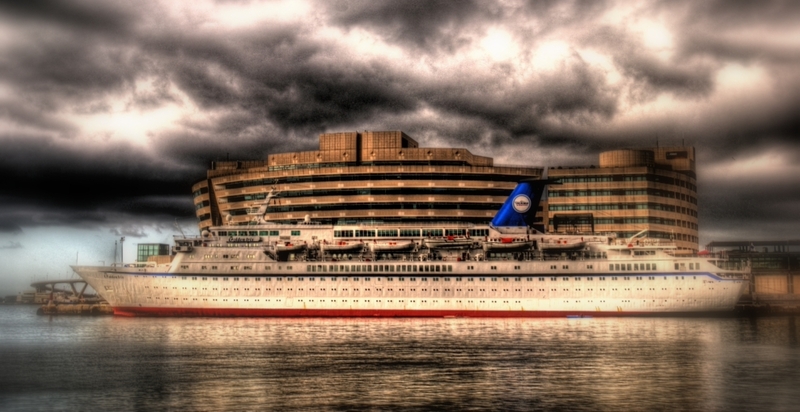 The Excellent can hold up to 2230 passengers, 760 cars and has 425 cabins. 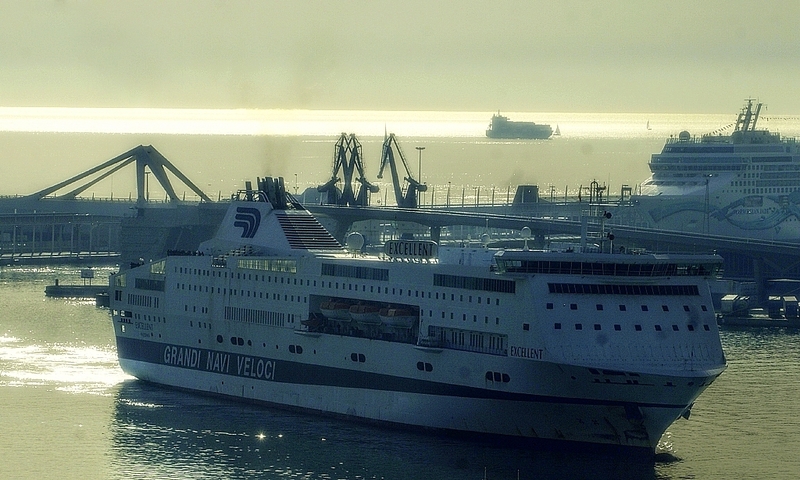 Grandi Navi Veloci means Big Fast Boats in Italian. Which is a funny name in a way. Let us rename Porsche ‘ Too Fast German Cars That Should Not be Driven by 18 Years Old’, and Nespresso ‘ Georges Clooney’s life and death’. Can you think of anything else? Temperatures are going down, but we still have 27 to 29 degrees most days, low to middle 80es. 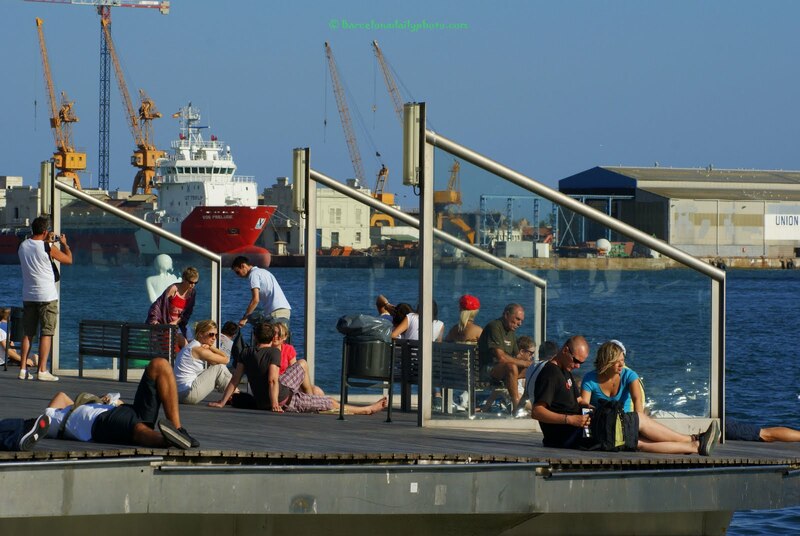 Good enough weather to relax and watch the sea, the boats passing. We’re very good at this here. And you? You see it? Yep, that’s mine. 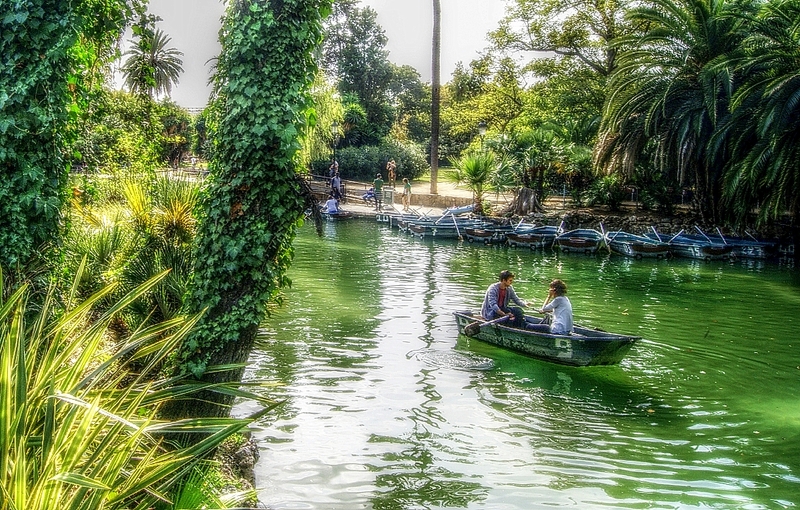 Care for a little boat trip, darling? ¿Cuál es el nuestro, querido? This is for Watery Wednesday 104. Please click here to see more watery photos. 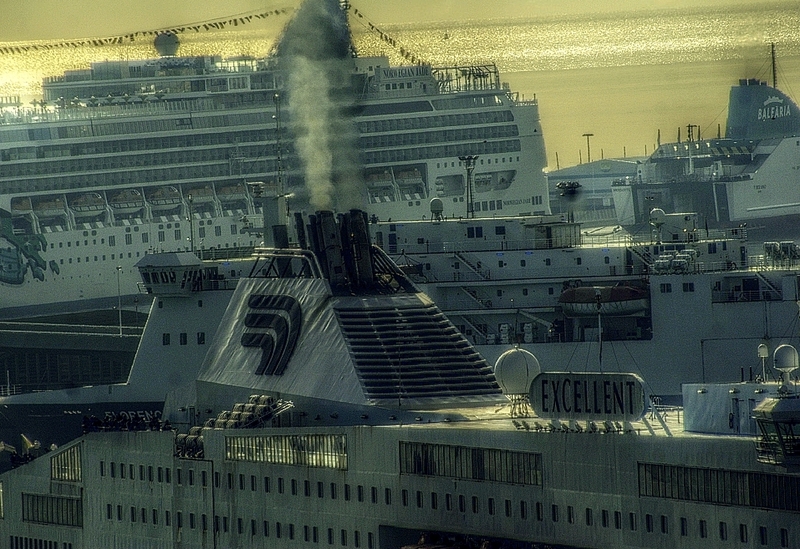 The SF Alhucemas, en route to Ibiza, with up to 1000 passengers.